Universities are caught between network and hierarchy. We are institutions which work at scale, supporting, scaffolding and ranking students – awarding degrees, undertaking research and maintaining quality. All of this requires a hierarchical structure and approach. And yet, as institutions, we recognize the value of the network; of connected, collaborative and interdisciplinary modes of learning and working. We acknowledge that complex and super-complex challenges (the kind of challenges we claim our sector can help with – equipping graduates for uncertain futures, aging populations, climate change, the effects of globalization etc) can only be responded to by operating in a connected manner which deliberately extends beyond the borders of disciplines and our immediate communities. There is also a recognition that networked and connected modes of working and being are of value to staff and students in ways which can confer new forms of prestige on the institution. In my role of Head of Digital Learning at the University of the Arts London I’ve been asked what the ‘vision’ is for the institution in a networked, globalized environment? I frame this as ‘how do we best operate as hierarchy and network?”. This is fundamentally challenging as ‘institutionalizing’ networked modes inherently turns them into hierarchies and thereby kills them. 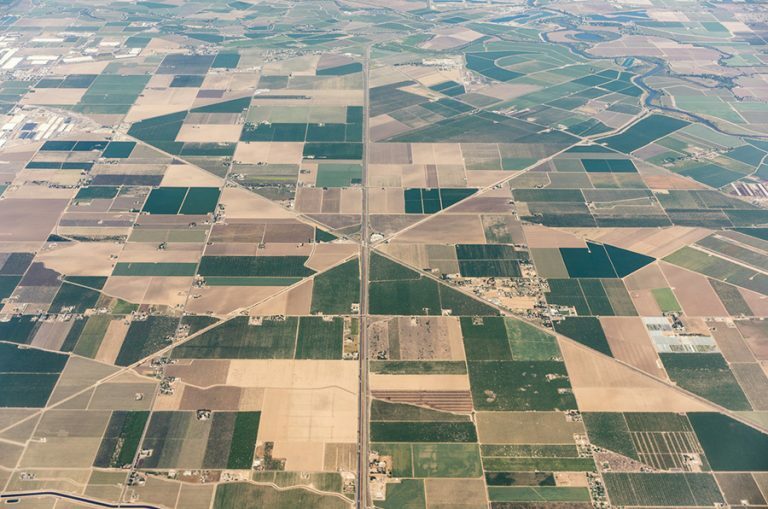 What is required is not the operationalizing of networked approaches but a clear statement of the ‘networked’ values that the institution supports, but importantly, does not seek to ‘own’. These values fall under the banner of ‘openness’ which is a theme I started pursuing in a Teaching and Learning context but which I now see as a principle which reifies emergent responses to the network across key areas which constitute the university: Teaching & learning, Research and Knowledge Exchange. I believe it’s important for the institution to ascribe to these values at the highest possible level to establish a clear ideology which influences the character of the institution and the practical outworking of ‘openness’ in a myriad of ways. In consultation with colleagues at UAL, and with support from Catherine Cronin, I have been leading on the development of Open Practice Principles here at UAL. These are still developing and require further consultation. They will also require the support of senior staff if they are to become institutional values (beyond the context of ‘innovative’ teaching and learning). In the spirit of the values themselves I’m posting the draft principles here for comment. I hope this will encourage others to take this route and will help me to connect with people who have already developed (and embedded) institutional values of this kind. As I mentioned, at this stage these are merely proposed values. What is important at this point is that they establish a constructive and open institutional ideology towards the network which can be translated into operational support for openness in a manner which respects the need for diversity of practice and accepts non-hierarchical forms of risk (i.e. it does not try to mitigate networked forms of risk by subsuming networked and open practice into hierarchical systems of quality and control). They also need to be succinct and in a form which can be interpreted into a variety of contexts. At UAL I’m confident that these values will encourage positive sharing of practice which already takes place ‘under the radar’. They will also give some confidence that the institution will support staff if things-go-wrong when working openly. Clearly these values will require case-studies, guides and policy in given contexts. In practice, much of the policy is already there an simply needs the equivalent of ‘this also applies in digital spaces’ added to it (I’m thinking of bullying, harassment, codes-of-conduct etc). I have already drafted a number of illustrations-of-practice under each value from a Teaching and Learning perspective but what’s important is to start with the values ‘at the top’ as it were and not to work in the hope that institutionally scattered examples of openness will naturally percolate into the psychology of the institution. One area where it’s possible to see the impact of high level values of this kind is in aspects of the Research Excellence Framework in the UK , I’d like to see the same happen with teaching via Teaching Excellence Framework too. In the short term, we will be embodying these values through our free, open, online seminar series entitled ‘Teaching Complexity’ #techcomUAL which will run from Jan – March 2019. 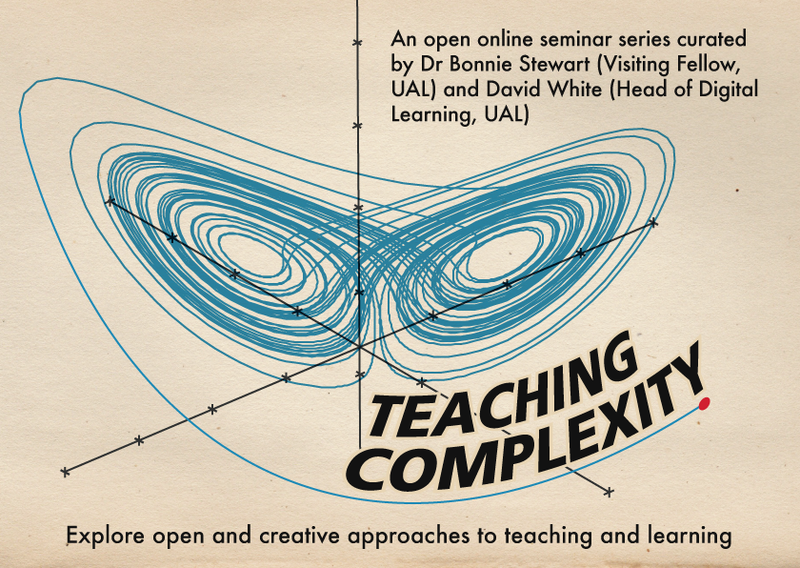 The seminars will: “…explore how open and creative approaches to teaching and learning can help students navigate the complexity of higher education and the digital environment.” The series is co-curated by myself and Bonnie Stewart in her role as Visiting Fellow at UAL. The facilitators for the sessions include some of the most interesting and innovative voices in open educational practice so do come along to all, or any, of the seminars.